Hello SNAPsters! This week we are back with our Friday High Five series. We have asked our fabulous community to share their favourite bouquet toss images. Let's go! 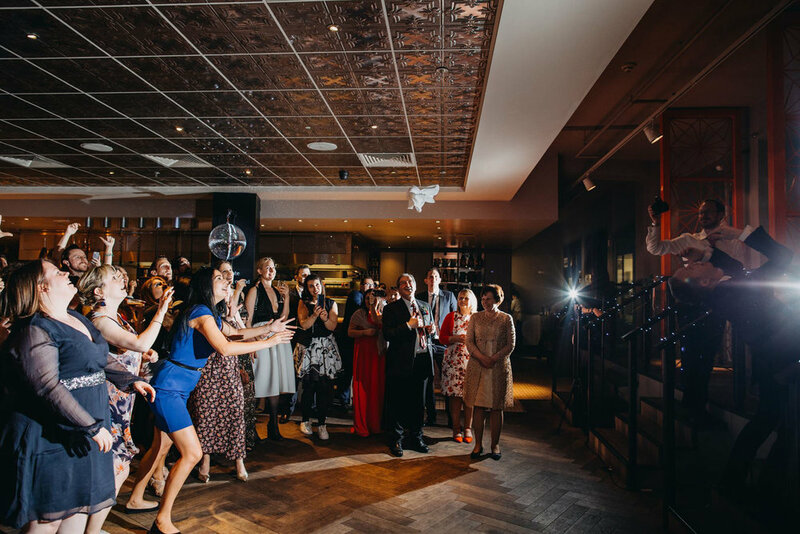 We love this photo of an excited bride going for a slam dunk. Such an epic shot by Hannah. Sometimes things can get heated! Fabulous moment captured by Ayesha. Megan beautifully caught the winner celebrating with her trophy. ''It's me! It's gonna be me!''. Thank you Hannah from Casey Avenue for sharing this amazing photo! It's not always the bridesmaids to fight over the bouquet! Photo by Lizzie. And it doesn't have to be a boquet either! Love this idea of substituting it with a t-shirt that said "I'm next!". Thanks for sharing Lex.